Hey there Green Loving, Shamrock Hugging, Beer Drinking Leprechaun Friend! We have everything for the grand or wee little festivities this St. Patty's Day. Stupid.com followed rainbows and searched through pots of gold to find these ridiculous gifts. Cheers this St. Patrick’s day with a green beer in The Giant Fist Koozie or some whiskey in The Belt Buckle Flask. 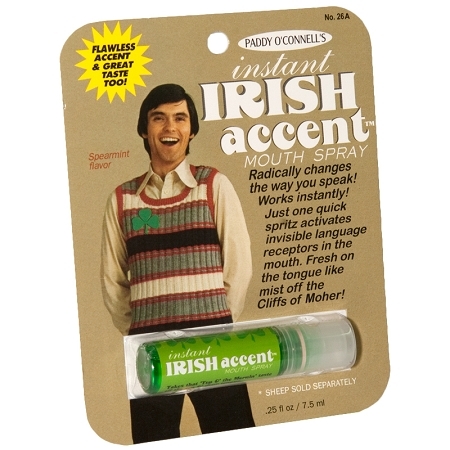 Be even more festive and use a spray of the Instant Irish Accent Mouth Spray to get the best accent. Stupid.com followed thee rainbow to pick out these 7 Lucky Gifts. Get an alcoholic fix while making others appear it’s a sugar fix. 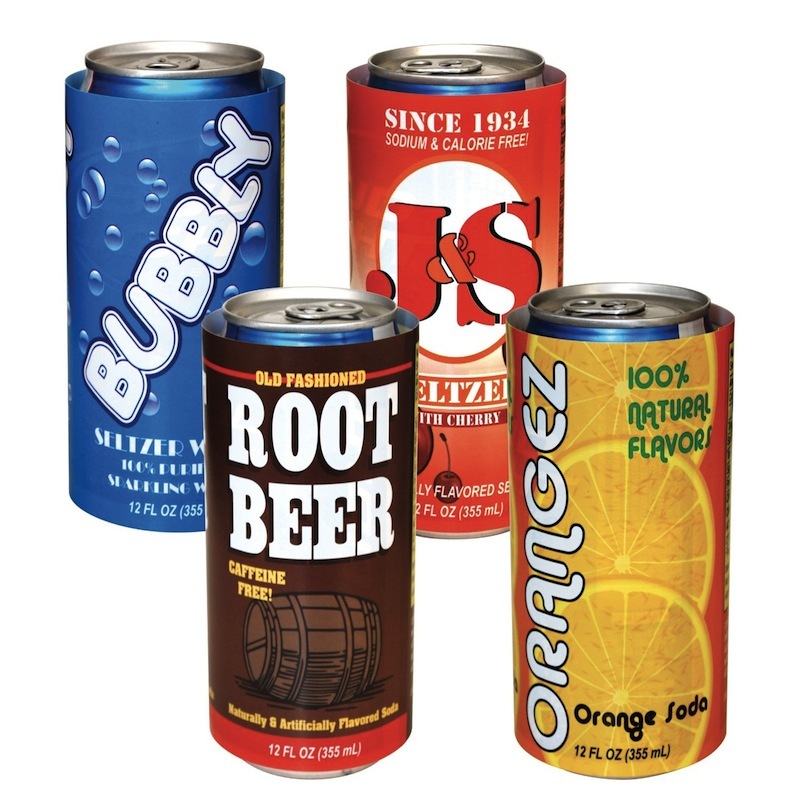 These reusable can covers can turn a 12 ounce can or beer into an innocent can of soda. Just one spritz of this spearmint flavored mouth spray and the phrase “Kiss me, I’m Irish” will have everyone convinced. It holds up a quilt and some liquor, what a match made in Irish Heaven. 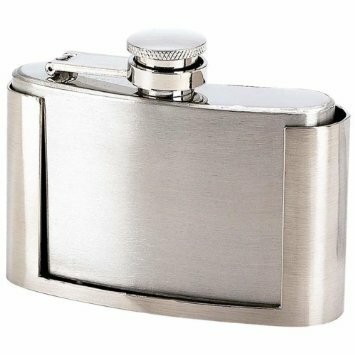 This belt buckle discreetly holds 6 ounces of any spirit. Nothing scares a lad more than a giant fist in a rowdy pub. 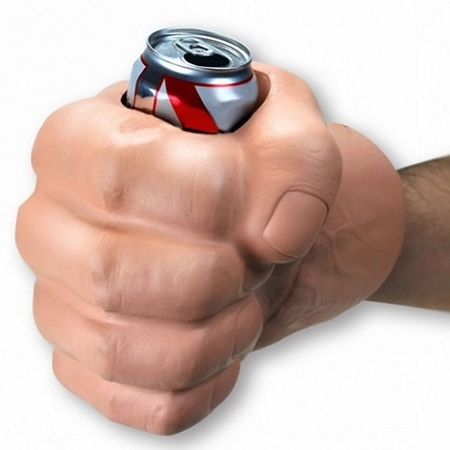 This giant fist koozie is easy to grip, holds a standard 12 ounce can/bottle and can keep a beer cold. No need to turn kitchen drawers upside-down! Always be ready to pop open a cold brew with this cool ring. Cheers to the best bottle opener, ever. 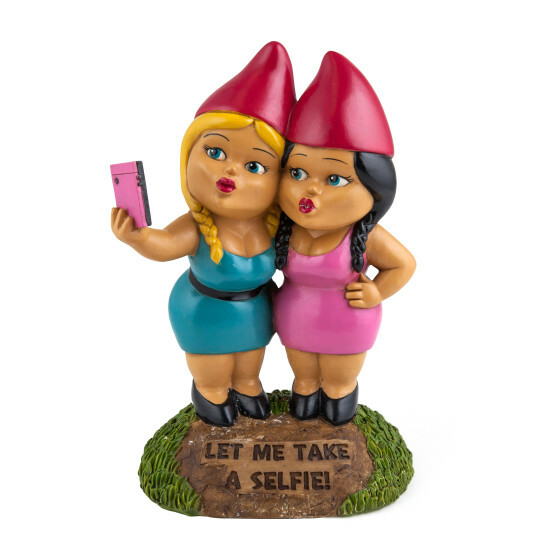 This Gnome makes a perfect gift for that selfie whore we all know and love. Place this statue in a garden or front lawn to get endless likes and comments. Make momma proud and drink like a champ. 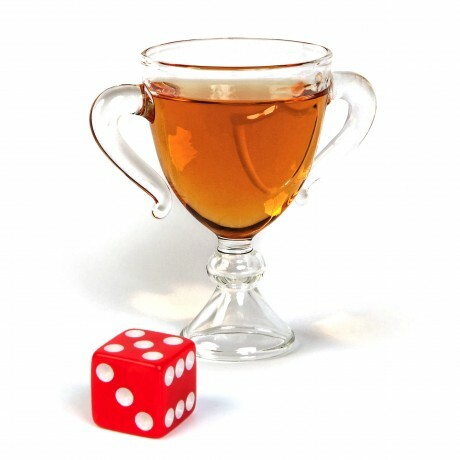 Feel rewarded with this mini trophy-like shot glass that holds 1.5 ounces of any liquor. Stupid.com has been spreading laughs one gift at a time since it burst onto the online retail scene in 1998. From great gag gifts to silly stocking stuffers, the company offers a diverse selection of over 4,000 products in 120 gift categories.